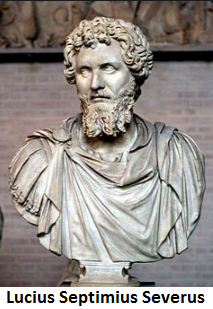 Shortly after becoming Roman emperor in 193, Lucius Septimius Severus disbanded the imperial household’s Praetorian Guard. Severus replaced them with veterans of legions he’d led. To ensure they didn’t turn on him, he increased all legionnaires’ base pay from 900 to 2,000 sestertii a year. He also increased the military pension, the aerarium militare, from 12,000 to 20,000 sesterces. Then, embarking on a series of foreign wars, Severus increased the size of the Roman army by 15%. To pay for his new endeavors, virtually all the taxes raised by the imperial government annually went to the military … about 2.5% of the empire’s gross domestic product (GDP). But it was never enough, and taxes went up every year. The civilian population soon came to resent this. So Severus did what rulers in a pinch always do: He debased the Roman currency. When Severus acceded to the imperial throne, the silver purity of the denarius was 81.5%. Three years later it was down to 54%. The price of grain tripled accordingly. Two hundred years later, the empire was gone … unable to pay its mercenaries, who proceeded to sack Rome and dethrone the last emperor. The bad news: A controversial 700-page act of Congress may have made your retirement account outdated. The good news: It lets you back them with an unbelievable NEW account that could help you generate $591,000 MORE for retirement. Click here now for the full uncensored details. So, just like Rome, all of our annual income tax payments effectively go to the annual military budget. Our military expenditures amount to $57 million per hour — 3.3% of GDP. Remember, Rome’s was 2.5% of GDP before it collapsed. President Donald Trump, like Emperor Severus, has proposed raising the military budget another $54 billion and has expanded our efforts into further areas … recently launching 59 Tomahawk missiles against the Assad regime in Syria at the cost of $60 million. I want to know your thoughts: Do you think our elected officials are leading us down the same path as Rome? But before you comment … consider the following. 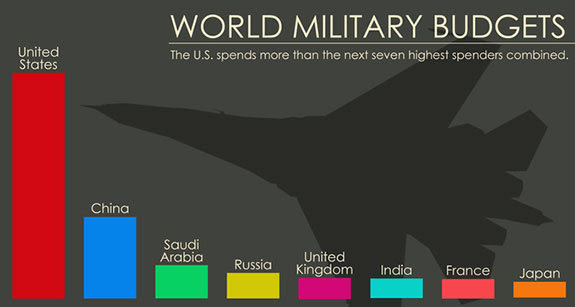 U.S. military expenditure is bigger than the next seven countries combined, including Russia and China. Americans are 4% of the global population, but our military spending is 37% of the global total. Our annual military tab exceeds the combined budgets of all 50 states for health care, education, welfare and safety. The U.S. military has almost as many administrative personnel (1,014,000) as active-duty troops (1,300,000). Of those administrative personnel, over 70% are either contractors or civilians. One of every four dollars spent on the military goes to administration. Two of every three of those administration dollars go to civilian employees or contractors. Those contractors comprise about 25% of civilian military personnel but consume 50% of the civilian workforce budget. Now, keep in mind that none of these figures include the billions spent every year on weapons procurement from U.S. defense contractors such as Lockheed Martin, Boeing, Raytheon and General Dynamics. And I haven’t even mentioned the enormous financial waste that’s the natural result of being an institution that’s seldom questioned, much less criticized. Unlike all other military conflicts in U.S. history, the “war on terror” and its offshoots have not entailed any immediate financial contributions from U.S. citizens. It all goes on the national credit card: our federal debt (which is quickly approaching $20 trillion). Our post-9/11 wars in Afghanistan and Iraq, for example, were fought on credit: $4.8 trillion, plus $7.9 trillion in interest. 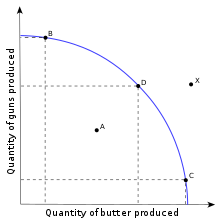 Eventually the interest cost will exceed the cost of the wars themselves … interest payments that accrue to Treasury bondholders in places such as China. It’s like the shift from conscription to an all-volunteer military: The burdens of war are still there, but most of us never see them. It’s all abstract. We don’t have to pay any extra taxes. We’re not pressured to buy war bonds. We’re not collecting bacon grease and growing victory gardens. But eventually our descendants will have to pay the bill … either through taxes or immediate cuts. It’s already started, in fact. The new Pentagon budget will be paid for in part by eliminating critical federal funding that’s helped restore my beloved Chesapeake Bay. Not long ago, saturated with pesticides, fertilizers and livestock manure, its waters could no longer sustain its famed crabs and oysters. Since a lot of this runoff came from upstream in Pennsylvania and New York, only federal intervention could get the restoration ball rolling. I know that oysters and steamed crabs might not mean a lot to you. But it means a lot to me, as well as to the hard-bitten Tidewater men I know — a conservative lot if there ever was one — who are appalled by the cut. Many similar cuts are in the works. It’s only a matter of time before one of them lands in your backyard. But even after all these cuts, the new Pentagon budget won’t balance. The deficit will keep going up … beyond $20 trillion. When I studied economics, we learned about the “guns and butter” model (as seen to the right). It’s a straightforward application of an empirically proven fact: You can’t have everything. You must choose. If you don’t choose now, someone will have to choose in the future. Again, I would love your input on this matter … because, to be frank, I’m concerned about our country ending up like Rome. My father, Robert Bauman, and I sat down and talked about military spending in an interview about two years ago, and how it robs you of $10,300 every year. Take a look at the video for yourself. I understand why the U.S. has a large military. We’re the world’s cop. But … can we keep it up? Do we have enough guns already? Or must we do without even more butter so we can keep growing our military — even if it means more deficits? Are America’s elected officials marching us down the same path Rome took nearly 2,000 years ago? Will our empire cease to exist in 200 years? I would appreciate your feedback on this. If you click this link, you will have a chance to comment and read feedback from your fellow Sovereign Investor Daily readers on our website.